Quantity of food for a company of one hundred. 3 quarts of milk made 162 rolls 10 large chickens. 4 quantities of salad dressing. 5 gallons ice cream. 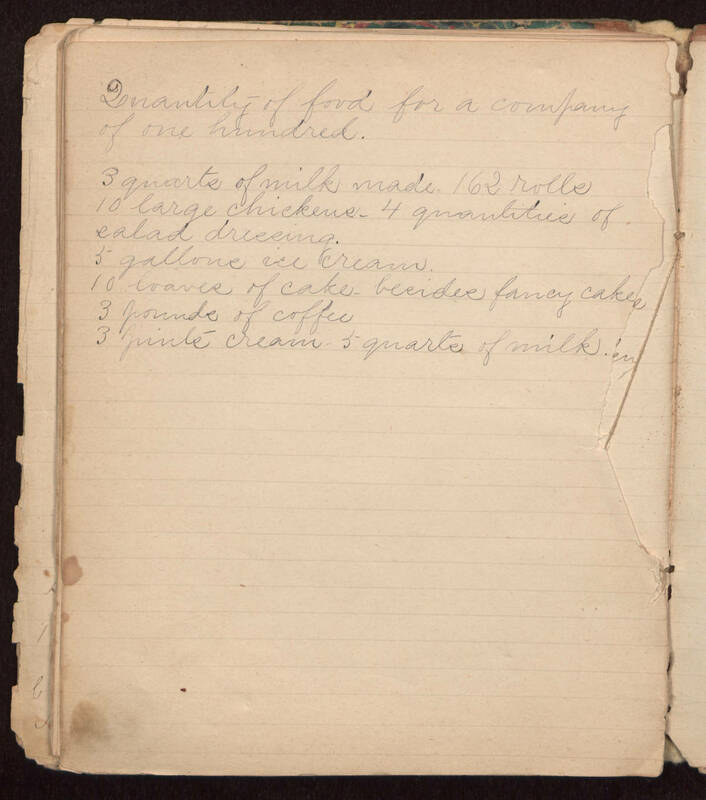 10 loaves of cake besides fancy cakes 3 pounds of coffee 3 pints cream - 5 quarts milk.